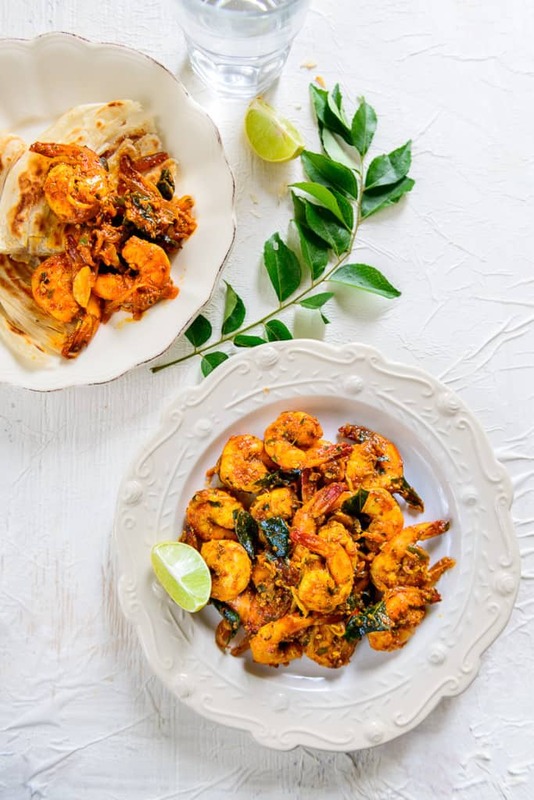 With a perfect blend of spices, this Chemmeen Roast or Kerala Style Prawn Roast is a must have dish. You can enjoy it with some rice and curry and it almost takes no time to cook. 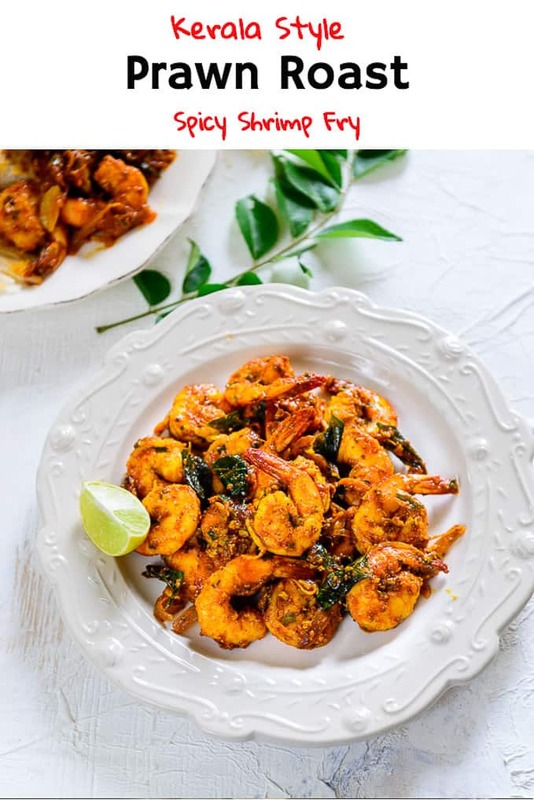 Check out how I made this best prawn recipe and enjoy the wonderful flavor yourself. Here is how to make Chemmeen Roast. India is known for its culture, and food. There is no region that doesn’t have its indigenous recipes, both in the North and South. Among South Indian cuisine, the state of Kerala has probably the most prolific of dishes. The cooking of meat with a blend of a multitude spices, makes the food simple and yet complex at the same time. The spices are the star of the dish, which infuses flavor and taste. Like all dishes from the region, this Chemmeen Roast or Kerala Style Prawn Roast takes almost no time in cooking, yet is full of flavours. At once tangy and spicy, there is a beautiful blend of spices that infuses the prawn meat. The addition of mustard and curry leaves for tempering only serves to add more flavor to this dish. This Chemmeen Roast can be enjoyed with Kerala brown rice, white rice accompanied by dal or Alleppey Fish Curry and Puli Inji or Kerala Style Ginger Pickle. Fish and Chicken Prawn Roast are also prepared in a similar way. Vegetarians can try Potato and Cashew Roast Nut or the Masala Baby Potato Roast with a variation of South Indian spices. Here is how to make Chemmeen Roast. 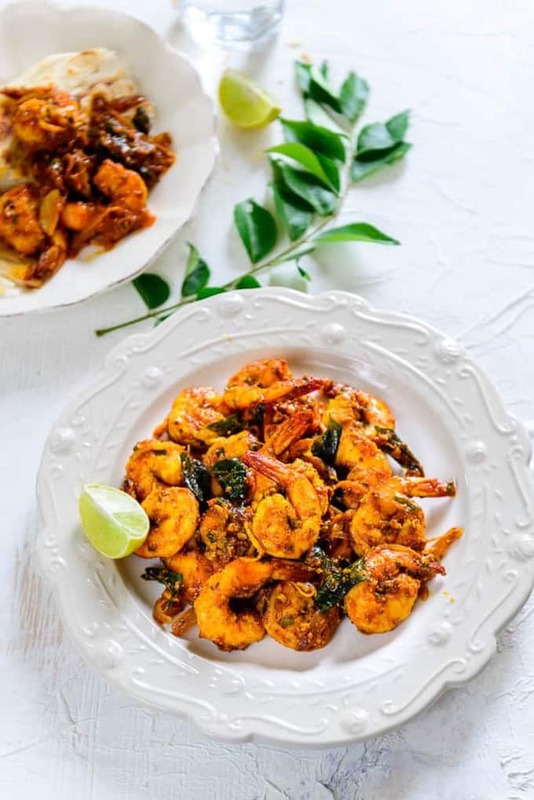 With a perfect blend of spices, this Kerala Style Prawn Roast is a must have dish. You can enjoy it with some rice and curry and it almost takes no time to cook. 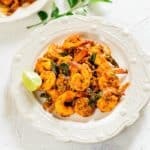 Check out how I made this best prawn recipe and enjoy the wonderful flavor yourself. Add curry leaves, mustard seeds, fenugreek seeds and garlic and fry for a minute. Now add red chilli powder, turmeric powder, black pepper powder, salt and little water and fry for a minute. Add prawns and salt and cook for 2-3 minutes.